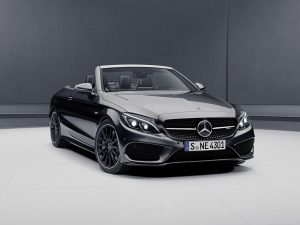 Also, Mercedes-AMG is offering the C63 S Cabriolet Ocean Blue Edition plus C43 Coupe and C43 Cabriolet AMG Performance Studio Packages provide even more variety for customers. All Special Edition models combine extended ranges of equipment with unique design features. The Mercedes-Benz USA press release is below for those interested. AMG is using three special models to further enhance the 50th anniversary of the exclusive company, reinforcing the standard it has set itself to offer customers maximum individuality and exclusivity. “2016 was the most successful year so far in our company’s history. We shall be using this momentum to fill even more customers with enthusiasm for Mercedes-AMG in our anniversary year, 2017. We shall be supported in this by our new Special Edition models, which we are presenting at the Geneva Motor Show. These models offer our customers an even wider choice of individual performance models,” explained Tobias Moers, CEO of Mercedes-AMG GmbH. The new AMG GT C Roadster is, like the new AMG GT C Coupe, available as an exclusively equipped “Edition 50” special edition in a limited quantity of just 500 cars worldwide – with 50 coming to the U.S. This special edition model marks a landmark year for AMG, which was founded in 1967 and is celebrating its 50th anniversary in 2017. At first glance the GT C Roadster “Edition 50” can be recognized by its special paint finish in designo Graphite Grey Magno. Black chrome accents deliver a unique look and are applied to the side skirt trim, front splitter, trim strips in the air intakes of the Panamericana grille, fins on the side air outlets in the front fenders, on the rear diffuser and tailpipe trim elements. The surface of the cross-spoke AMG forged wheels compliments the black chrome elements found on the exterior. The interior is marked by a contrast between black and silver. This color scheme is followed not only by upholstery in Silver Pearl/Black Exclusive Nappa Leather with Grey diamond-patterned contrasting topstitching, but also by the black AMG Performance steering wheel in DINAMICA microfiber with Grey contrasting topstitching, 12 o’clock mark in Silver Pearl, and “Edition 50” badging. The Ocean Blue Edition for the AMG C63 S Cabriolet is designed for a particularly fashion-conscious and design-oriented target group and is limited to just 150 units worldwide. The new color “Deep Ocean Blue” used for the fabric acoustic soft top is exclusively earmarked for this new special edition model. The exclusive color shade is featured on numerous further details on the car, such as the trim strips on the front and rear bumper, trim elements on the wheel’s center caps, contrasting topstitching throughout the Crystal Grey interior plus the analogue clock in an IWC design. The C63 S Cabrio Ocean Blue edition is painted in designo Cashmere White Magno. The front bumper in an A-wing design, exterior mirror housings, side sill panels plus the spoiler lip are painted in the vehicle color, underlining the elegant character of this special edition AMG model. The AMG forged wheels in a cross-spoke design are of a staggered fitment—19-inches at the front and 20-inches at the rear— and are painted in titanium grey. Throughout the interior, Crystal Grey nappa leather with lavish diamond quilting and Deep Ocean Blue contrasting topstitching immediately catches the eye, and is combined with AMG Matte Silver Fiber Glass trim and a special edition badge in the center console. The premium interior is further reinforced by the steering wheel with its black rim, featuring a flattened bottom section finished in nappa leather and silver-colored buttons, the same steering wheel found in the AMG S63 Cabriolet. As standard, the seats in the AMG C63 S Cabriolet Ocean Blue Edition are fitted with AIRSCARF neck-level heating and heated/ventilated seats, ensuring optimum comfort in all weather conditions. Attention to detail is evident in the AMG badges found in the backrests of the front seats and the embossed AMG emblems in the front head restraints. The AMG Performance Studio Package for the AMG C43 Coupe and Cabriolet boasts numerous black details throughout the interior and the exterior of the car. For the first time, the C43 Cabriolet is available with black exterior details. The diamond radiator grille sports black pins instead of the usual chrome, and the trim strips on the front splitter, on the rear bumper, side skirts, trunk lid spoiler and tailpipe trim elements are all painted black. The overall impression is further enhanced by 19-inch multi-spoke light-alloy wheels, which are painted in matte black for the first time and feature high-sheen rim flanges as a striking contrast. The AMG Performance Studio Package continues in the interior. The rim of the Performance steering wheel, in nappa leather/DINAMICA microfiber, with its flattened bottom section is also black. All new special edition models will be available for order this summer from a Mercedes-Benz dealer. 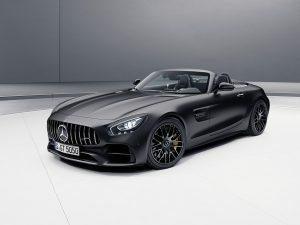 The AMG GT C Roadster Edition 50, AMG C63 S Cabriolet Ocean Blue Edition and AMG Performance Studio Package versions of the AMG C43 Coupe and AMG C43 Cabriolet will make their debuts at the 2017 Geneva Motor Show. 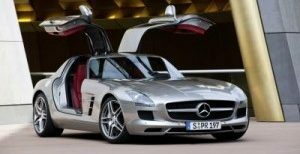 Mercedes-Benz is launching attractive special editions of its SL and SLC roadsters later this year. Customers can choose from the SLC300 RedArt Edition, AMG SLC43 Performance Studio RedArt package and the SL designo Edition on the SL450 and SL550. While the compact SLC special model emphasizes sporty dynamics, the SL is tailored towards exclusivity and fine interior design.